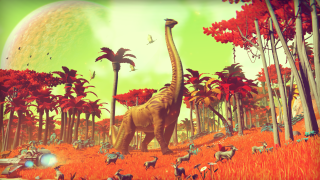 Hello games, the studio behind No Man’s Sky, confirmed a new August release date for the game last week. Something that lead to death threats because… I have no idea. The announcement stated that “we realised that some key moments [in the game] needed extra polish to bring them up to our standards”, adding, "we understand that this news is disappointing, but we are so close now, and we’re prepared to make the tough choices to get it right”. There’s no word on the nature of the threats themselves but obviously it’s completely unacceptable at any level, joking or otherwise.